Jean Lee's archery career began when she enrolled in an archery course taught by Larry Briggs at the University of Massachusetts. She studied under Mr. Briggs from 1944 through her graduation in 1947. 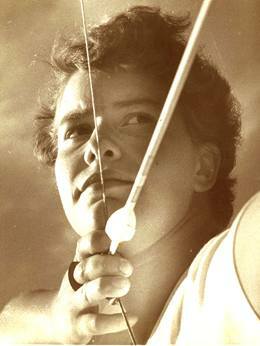 From 1946 to 1950 Jean attended summer camp at Teela Wooket in Roxbury, Vermont where she studied and taught archery under the guidance of Mrs. Myrtle “Mimi” Miller. 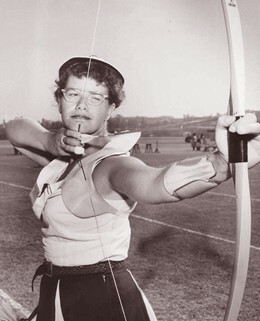 Jean's first major tournament was the 1947 National Target held at Amherst, Mas­sachusetts where she placed 15th. In 1948 she started on an amazing winning streak capturing four straight National Target Championships in '48, '49, '50, '51. At the "48 tournament in Reno, Jean broke almost every record. In 1949 she set a new Dou­ble American record of 1422. In 1950 she had a great tournament again re-writing the ladies' record book. In 1950 Jean traveled to Kobenhavn, Denmark to compete in the World Tournament. 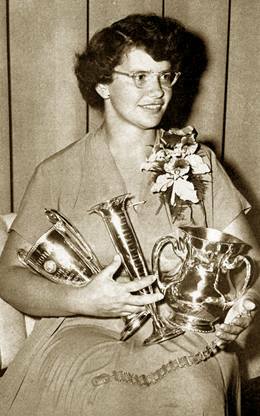 She shocked the archery world by winning the ladies' title by over 300 points and establishing a whole new set of records. She even de­feated the great Hans Deutgen, Men's Champion, in some of the rounds. 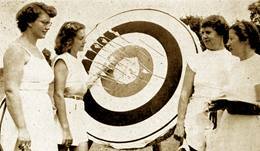 Jean suffered a minor injury to her right arm in a gymnasium workout in 1952 and archery seemed to aggravate the injury and he was forced to give up the sport she loved so much.